Nintendo of America has announced that the Solgaleo Lunala Black Edition New Nintendo 3DS XL will see release in North America. This will arrive on Friday 28th October, three weeks before Pokémon Sun and Pokémon Moon‘s launch. 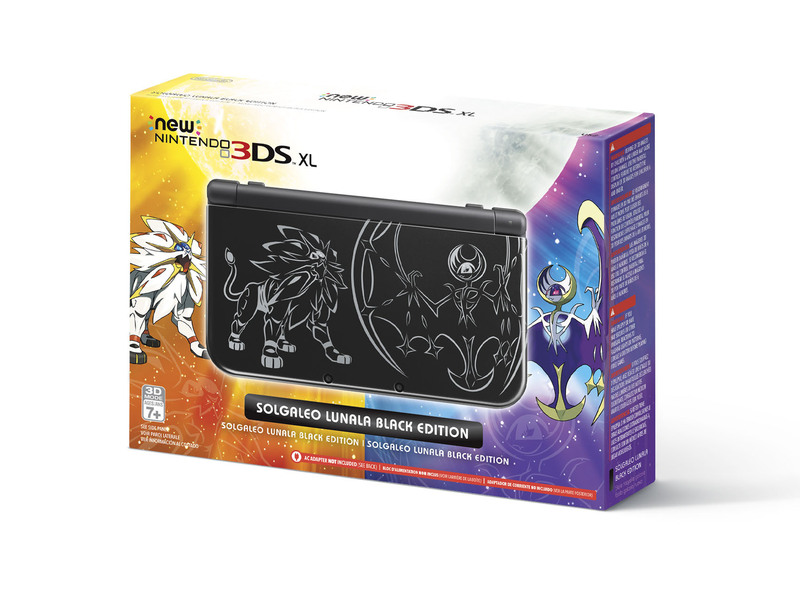 Priced at $199.99, this is a black-coloured New Nintendo 3DS XL system that has the Legendary Pokémon etched in white on the front and their silhouettes on the back. Nintendo has also shared plans to release the Pokémon Sun and Pokémon Moon Dual Pack. Priced at $79.99, this will include both games and two codes that unlock 100 Poké Balls each.